In response to a petition by the Center for Biological Diversity, Center for Food Safety, Xerces Society and renowned monarch scientist Dr. Lincoln Brower, the U.S. Fish and Wildlife Service said today that Endangered Species Act protection may be warranted for monarch butterflies. The agency will now conduct a one-year status review on monarchs, which have declined by 90 percent in the past 20 years. 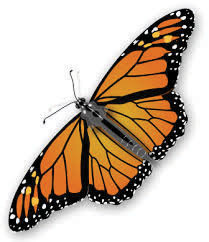 “The Endangered Species Act is the most powerful tool available to save America’s monarchs so I’m really happy these amazing butterflies are a step closer to the protection they so desperately need,” said Tierra Curry, a senior scientist at the Center for Biological Diversity. The butterfly’s dramatic decline is being driven in large part by the widespread planting of genetically engineered crops in the Midwest, where most monarchs are born. The vast majority of genetically engineered crops are made to be resistant to Monsanto’s Roundup herbicide, a potent killer of milkweed, the monarch caterpillar’s only food. The dramatic surge in Roundup use with Roundup Ready crops has virtually wiped out milkweed plants in Midwestern corn and soybean fields. In the past 20 years it is estimated that these once-common iconic orange and black butterflies may have lost more than 165 million acres of habitat — an area about the size of Texas — including nearly a third of their summer breeding grounds. The population has declined from a recorded high of approximately 1 billion butterflies in the mid-1990s to only 35 million butterflies last winter, the lowest number ever recorded. The overall population shows a steep and statistically significant decline of 90 percent over 20 years. In addition to herbicide use with genetically engineered crops, monarchs are also threatened by global climate change, drought and heat waves, other pesticides, urban sprawl and logging on their Mexican wintering grounds. Scientists have predicted that the monarch’s entire winter range in Mexico and large parts of its summer range in the states could become unsuitable due to changing temperatures and increased risk of drought, heat waves and severe storms. Monarch butterflies are known for their spectacular multigenerational migration each year from Mexico to Canada and back. Found throughout the United States during summer months, in winter most monarchs from east of the Rockies converge in the mountains of central Mexico, where they form tight clusters on just a few acres of trees. Most monarchs west of the Rockies migrate to trees along the California coast to overwinter. The size of the overwintering population in Mexico is expected to be up this year due to favorable spring and summer weather, but even with the expected one-year population increase, the monarch population will only be a fraction of its historical size. Monarchs need a very large population size to be resilient to threats from severe weather events and predation. Nearly half of the overwintering population in Mexico can be eaten by bird and mammal predators in any single winter; a single winter storm in 2002 killed an estimated 500 million monarchs — 14 times the size of the entire current population. The Fish and Wildlife Service must next issue a “12-month finding” on the monarch petition that will propose protection under the Endangered Species Act, reject protection under the Act or add the butterfly to the candidate waiting list for protection. Center for Food Safety is a nonprofit, public interest organization with half a million members nationwide. CFS and its members are dedicated to protecting public health and the environment by curbing the use of harmful food production technologies and instead promoting sustainable alternatives. The Xerces Society is a nonprofit organization that protects wildlife through the conservation of invertebrates and their habitat. Established in 1971, the Society is at the forefront of invertebrate protection worldwide, harnessing the knowledge of scientists and the enthusiasm of citizens to implement conservation programs.